Before the baby arrives, create a nursery with effective organization strategies that will ease your stress. 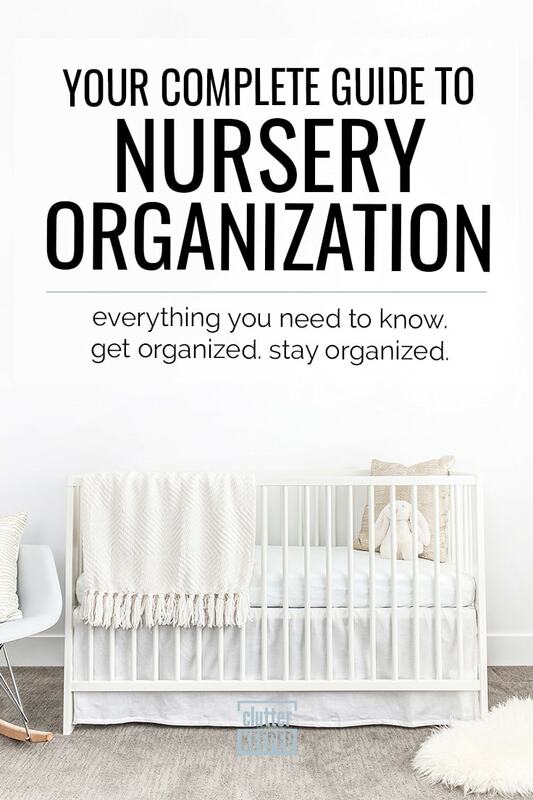 This nursery organization guide will walk you through every step. Fear and excitement abound when a new baby is about to arrive. You never feel quite ready. And the truth is, you won’t be. But you are going to be a wonderful parent, because you love that baby more than life itself. The one thing you can do to prepare is create an organized baby room. Prepare for the new baby by making sure everything is where it should be and you have organization systems that will make your life easier. That’s the real beauty of an organized room. It saves you time, money, and stress. When the nursery is organized and ready for the baby, you will be able to focus on the baby, not worried about finding lost items or where to store everything your baby will need. You’ll be so tired once the baby arrives. Creating organizational systems early will save you a lot of energy. When everything is organized, you will be able to find what you need without much effort – even half asleep. It will also help you be able to put things where they go when you are too tired to clean up. Another reason organizing the baby room is so important is because a perfectly organized room is just beautiful! Seeing everything in its own place is extremely satisfying. You will be so much more ready for the baby when you see the diapers, wipes, socks, and clothes, all put away in their own boxes and locations. As you organize the room, you will begin to feel the excitement well up within your heart. Organizing the room is a way of nesting, preparing your home for the new bundle of joy. If you can, try to organize the room with someone – your love, your best friend, or your close family member. Begin talking about how you feel and how you can’t wait to meet the baby. Organizing the room is an act of love for yourself, and the new baby. Now that you know why it’s important, here is how to do it. Follow these steps so you can do it right the first time, not having to go back and redo it after the baby arrives. The first step is to establish functional areas. Make sure you have what you need within arm’s reach of those areas. Reading and rocking – Keep books and maybe even a lamp near the rocking chair. Changing area – Store diapers, wipes, the pail, and a few changes of clothes all near the changing table. Clothes and laundry – Organize the closet and keep the laundry basket near both the changing table and the closet. Sleeping – Keep blankets, sheets, and baby monitor all near the bed. Think about how you will use the baby’s room and make the organization system intuitive. As you create your systems, make it so easy to understand that others can easily follow it, without your help. You will appreciate this when you accept help with the baby. During those first few weeks, you will want to soak up as much time as possible with your baby. If you have well-meaning friends and relatives that want to help you out, they can help with laundry and light cleaning. You won’t want to have to explain where everything goes. So as you prepare for the baby, keep things organized in a way that makes sense to others and not just yourself. One way to make something easy enough for everyone to use is to label everything. Even if you think that a tub of socks is obviously where the socks go, label it. If that box runs out of socks, you want everyone to know what belongs in it. Decorative tags – Buy some decorative tags and hand write the labels on them. Label machine – Use a label machine to print the label. Vinyl cutting machine – If you have something like a Cricut, you can design decorative labels. Stickers – There are lots of writable stickers like chalkboard stickers that you can use. No matter which labeling system you use, make it legible, so everyone can easily read them. As you organize the room, step back and look around. Is anything sitting out, without a home? That is what you need to organize and give a home. Don’t be afraid to be creative and create a new system for these things. If you have extra blankets, look for a tote to hold them. If you see a tub of diapers just sitting out, look for some baskets to hold them. Finally, don’t pack the baby room so full that you don’t have room for the baby to grow. As the baby grows, you are going to be changing the nursery with it. If you use baskets and tubs, they can easily be transitioned to holding larger clothes and toys. Use a labeling system that is easy to replace. This is why a hanging tag is such a popular option. How do you organize a baby room when you have an older child sharing their room with the new baby? This is a tough problem, but one that needs to be solved before you are drowning in disorganization. The first step is to clearly define the boundaries. Where will the baby clothes be stored? Keep it separate from the older child’s clothes. If possible, store the baby’s clothes as close to the crib as possible. The most important thing to keep in mind as you are preparing to establish a shared room is to prevent clothes or toys from getting lost among the sibling’s stuff. One of the easiest ways to keep everyone’s possessions organized and separated is to establish a color coded system. Give the baby and the older child their own colored laundry basket and storage bins. This makes it so much easier when it is time to clean up. You know where things go instantly. The final tip has more to do with attitudes than an organization system. Keep the decor individualized. If you do this, the older child is more likely to transition to the new “roommate” faster and easier. 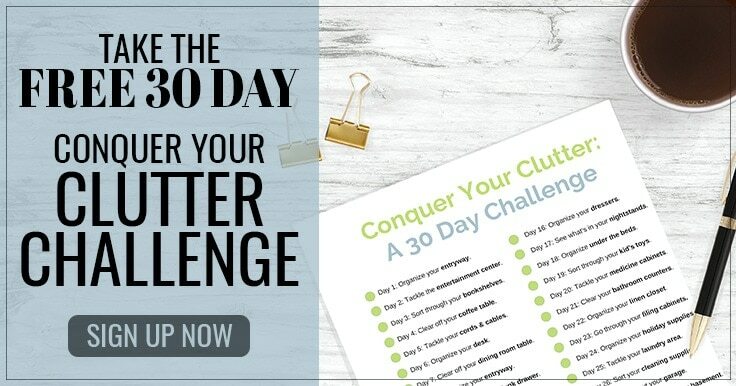 You can set up the most organized room ever, but if the child isn’t motivated to keep it organized, you will be creating more work for yourself. If you don’t have an extra bedroom, you might have to set up the crib in your room. Here are some space-saving hacks. Try to find creative ways to store your clothes and other items in ways that don’t use as many pieces of furniture. Putting a crib in your room might take up quite a bit of space. 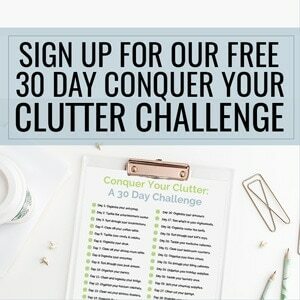 While you are minimizing furniture, try to also see what else you can give away or do without. It will feel so much less crowded – and be easier to maintain – if you simply own less things. One of the smartest places to store extra items is under the bed. 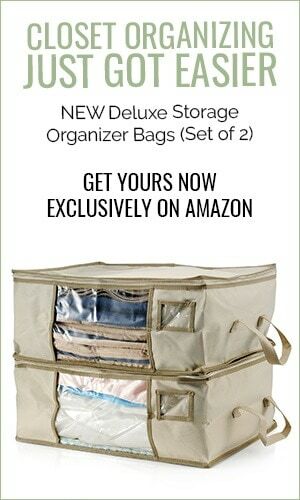 Look for storage solutions that will work under the crib as well, like our Clutter Keeper Deluxe Storage Bags. These storage bags will keep your items dust free and can be easily labeled. One tip: if you choose a large rolling bin, keep it organized with drawer organizers. It’s really easy to just let these large plastic tubs become catch-alls – and then it is even more difficult to find what you need. Another under-utilized area of storage is your bedroom walls. Hang baskets and shelves from the wall and store things like diapers, pacifiers, and baby toys. The best thing about using the wall for storage, is that when your child outgrows your room, you can take all that stuff off the wall and move it to their room. Now that you know how to organize it, here are some hacks and ideas that will give you the most organized nursery ever. The first hack is to use drawer organizers inside changing table drawers. Baby stuff is small and gets lost easy. As you can see in the photo below, a drawer organizer is almost a necessity. You can either buy some premade, or you can use small baskets. You can also create your own dividers out of foam poster board. The Homes I Have Made published a really easy-to-follow tutorial. Next, you can keep pacifiers free from dust and dirt if you store them in a container with a lid. As you can see in the picture below, a jar made for holding cotton balls is the perfect size. Not only is is really effective at keeping the pacifiers all in one easy-to-find place, but it is really beautiful too. Another space-saving hack is to make your furniture do double-duty. Use a dresser for changing table. Some changing tables out there don’t have very effective storage options. Many of them just have a few open shelves. If you use a dresser like the one below, you can use the drawers to store diapers, wipes and extra clothes for those emergencies. Nursery Bliss ✨Swipe to see more of Jade’s sweet nursery! How much space does a bulky bookshelf take up? More than it needs to. Especially considering how few books a baby needs. Save on space and install something like the ledges in the picture below. You can still have picture books to read to your child, but you can also keep the book collection to a manageable level and have more space for other pieces of furniture. This is easier said than done, but it is so important. Before the baby even arrives, set a limit of toys you are going to keep. Then, as the baby receives more toys, give more of them away. Don’t accumulate more possessions than you have the ability to store. Next, establish an organization system within the closet that will work for your baby’s things. A book shelf in the closet – like the one below – doubles your storage space. You can store things like extra clothes, toys, and baby products, in baskets in the closet. Babies grow so fast. It might be tempting to only hang up the newborn clothes, and then put up the 3-month clothes after that…but it will be challenging to stay on top of the switching. To give yourself more time, just hang up all the baby’s new clothes at once and use hanger dividers. Two Twenty One has an easy tutorial you can follow to make your own. Or you can buy some already made. No matter which option you choose, give yourself the gift of time and keep all the baby’s clothes in the closet at once. The following hack is one you have probably heard before, but it is so helpful, especially with baby stuff. Hang wire baskets on the wall for extra storage solutions. This can hold blankets, diapers, or baby books. Think of things you need within arm’s reach from the rocking chair or changing table – and put those on the wall. The photo below shows one option. If you need something with a solid bottom, lay a piece of foam board in the bottom of the basket. Another popular hack is to use the back of the door for extra storage. In a baby room, you can store things like toys, diapers, bath products, and even memory books. The photo below has an example. Set up your door with a system that works for you. Finally, use the space under the crib wisely. Just like mentioned earlier, this is a really useful place to store things like diapers, extra blankets, and clothes in the next size up. A new baby brings joy and exhaustion, happiness and chaos, and the best and busiest years of your life. Prepare for the new baby by taking a look at your home and making every space work for you, helping you stay organized. 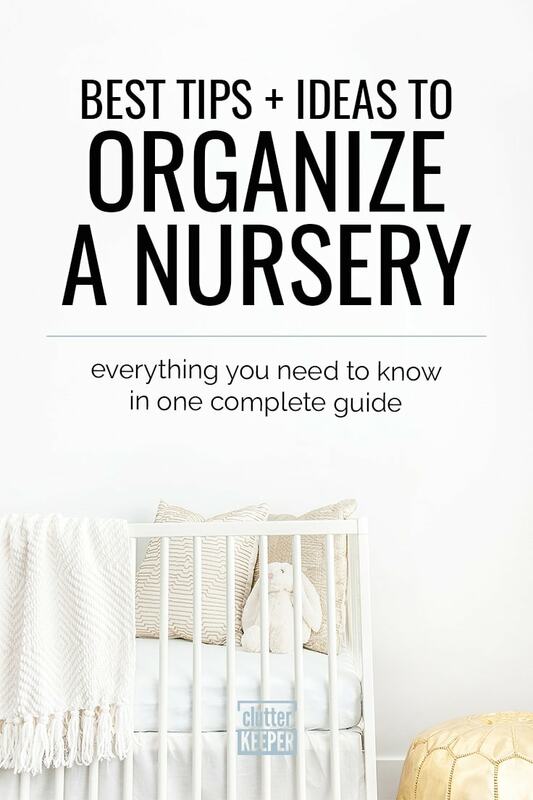 Use this guide to help you have the most organized nursery ever, so you can spend more time with your baby and less time trying to find the things you need. If you enjoyed this guide, you might find these helpful too.